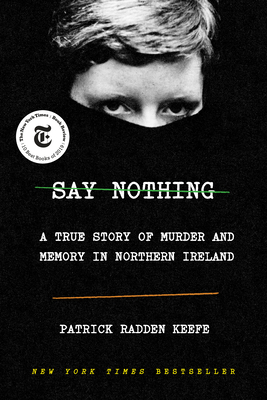 This extremely readable book is half true-crime story, half history of the conflict in Northern Ireland. The main narrative concerns a horrifying crime: a mother of ten was taken from her apartment in a Belfast public housing complex that served as a flashpoint during the height of the Troubles and never heard from again. The stories of several prominent Provisional IRA families are also told in detail. (Check out the massive "notes" section to understand the depth of research that went into this book). Patrick Radden Keefe is a New Yorker staff writer and this reads like a New Yorker article in the best possible way.